Doesn’t matter how large or small your makeup collection is. Makeup brushes are still very important. 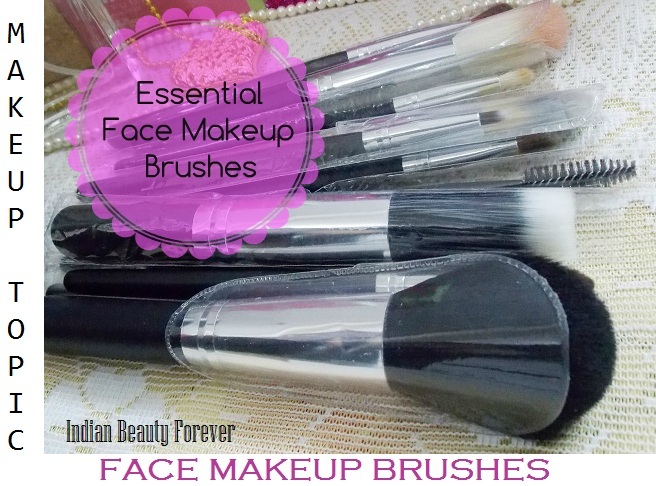 I will be discussing few essential makeup brushes in this post that you should have. Trust me it’s going to make your life a lot easier!! It is said that when you apply your foundation with your fingers then it gives a good blended finish since your fingers also warms up the product though brushes can also be a great option if you aren’t willing to use your fingers. You can use a foundation brush first and then gently blend with your fingers later for a perfect blended base. Now, you can apply your foundation with a flat foundation brush or a flat top buffer brush. 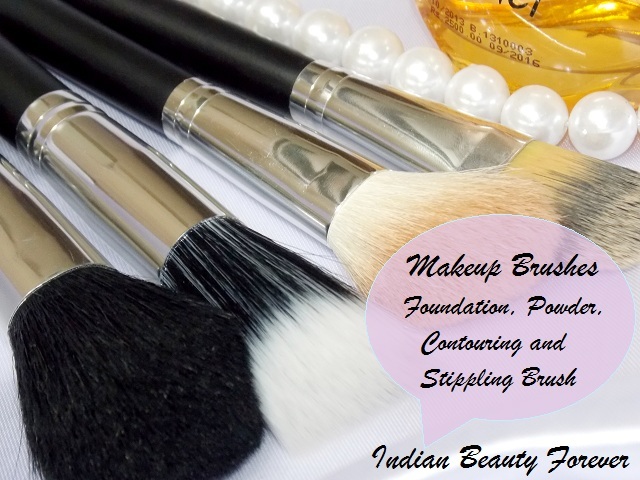 For affordable foundation brush, you can try Faces Canada foundation and concealer brush. Now, I am not telling you to use this mascara wand for your mascara but to brush out your eye brows. Have you noticed how eyebrows bring a massive difference to your face? They actually frame your face. Therefore, you should own a spooly or wand to brush up your eyebrows for a neat and tidier look. Wands actually work better than the lash comb brushes. For cheaper options, try Vega makeup brushes, they sell separate mascara wands as well. Well lined and shaped lips can further enhance your pout!! Your lips appear more alluring when you apply your lipsticks with a lip liner brush unless you’re going for a stained kind of look. With lip brushes you can actually define those especially when you’re are planning to sport bold bright or deep colors. While applying deep and dark color including bright Red, lining your lips becomes even more important. You can line with the lip liners as they help stop the bleeding lipstick and fill then with your lip brush. I personally like lip brushes as they apply evenly than applying directly from the tube! A fluffy dome shaped or even angled brushes can serve great to apply your blush and fluffier the brush the better natural finish it gives. You can also apply cream blushes with brushes as they blend the cream formula effortlessly and evenly since creamy ones do tend to stain if not blended well, thereby giving a patchy finish. So, then brushes comes to your rescue! Once you have done your makeup, setting it with a large powder brush makes a lot more difference and your makeup to last longer. Powder actually sets everything in place. But don’t drag the brush but dab it lightly to the face. If you are working with loose power then tap off the excess powder and then dab it on your face. So, which are your favorite picks when it comes to makeup? Do you apply your foundation with fingers or with the brush?